The aluminum skid plate is covering not only the front and the bottom of the engine but also the brake and shift, levers! 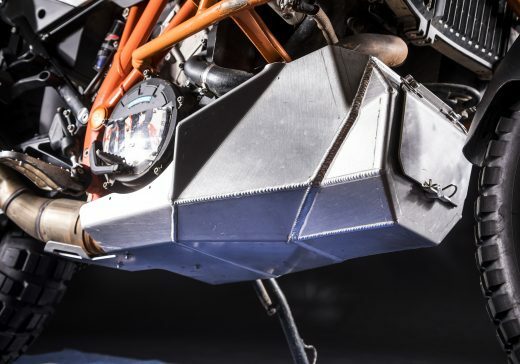 The perfect handcrafted welding is adding very high stiffness to the KTM 1090/1190 Adventure skid plate. 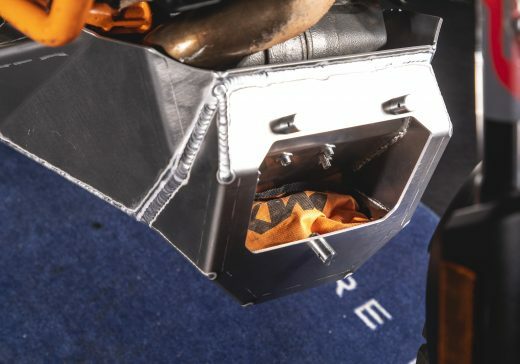 How does the KTM 1090 1190 skid plate works? 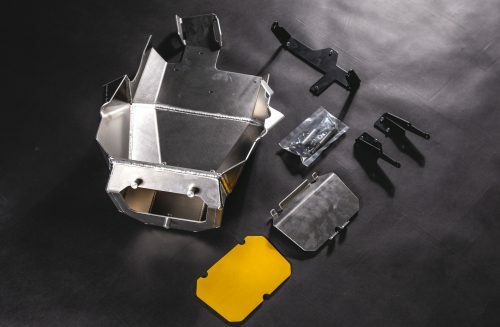 What is included in the KTM 1090 1190 skid plate? It takes about 20 minutes. You remove the plastic OEM skid plate. Than Install the front holders in the same holes in front of the engine. And you are ready to bolt on the skid plate.